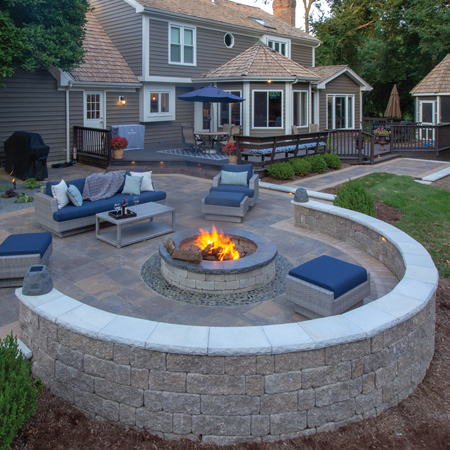 We are passionate about our love for “the backyard” and the products we create for residential and commercial landscaping. 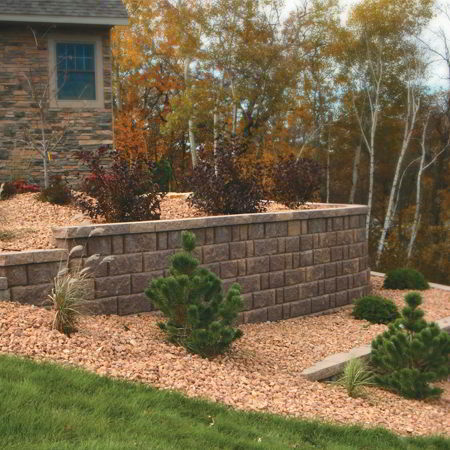 As the professionals’ “first choice”, our brands are available through authorized contractors, distributors and retailers in the upper Midwest. 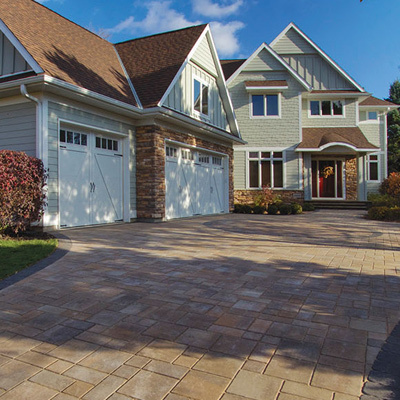 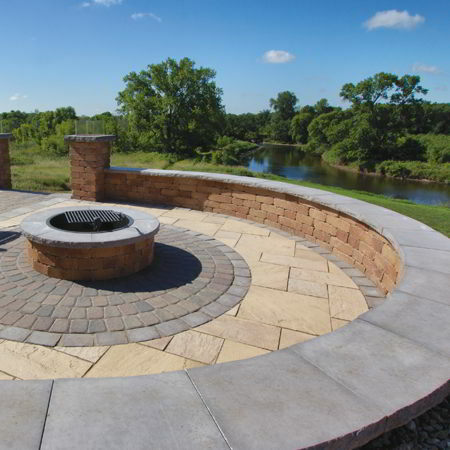 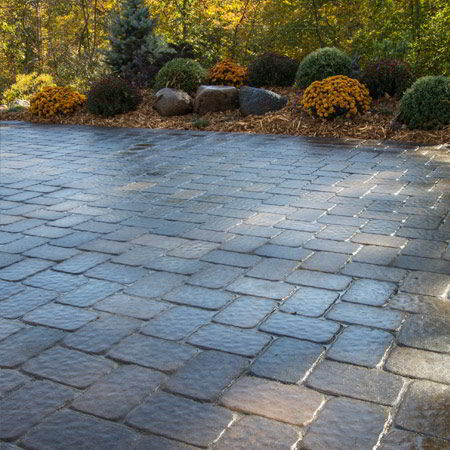 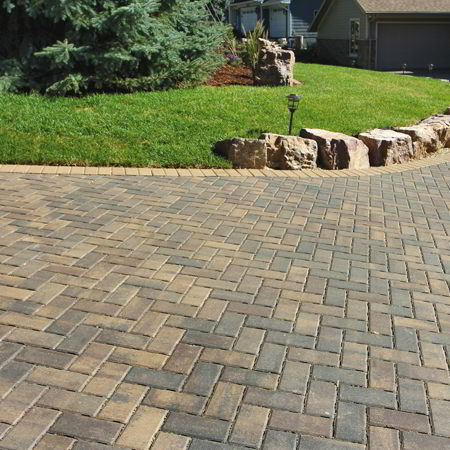 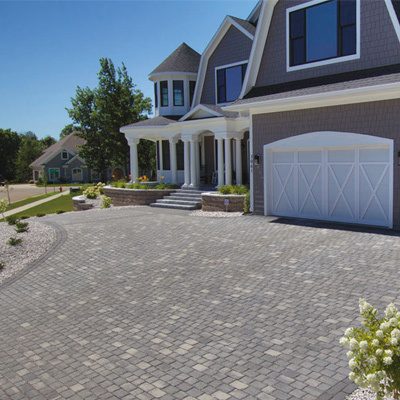 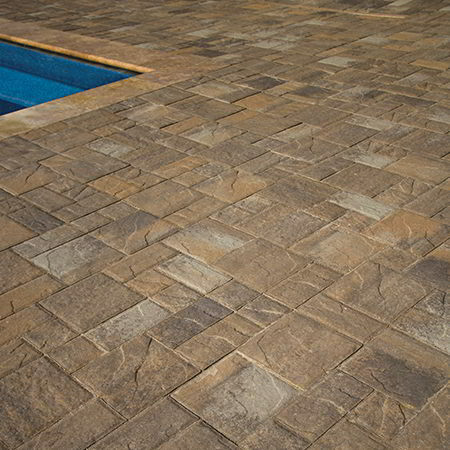 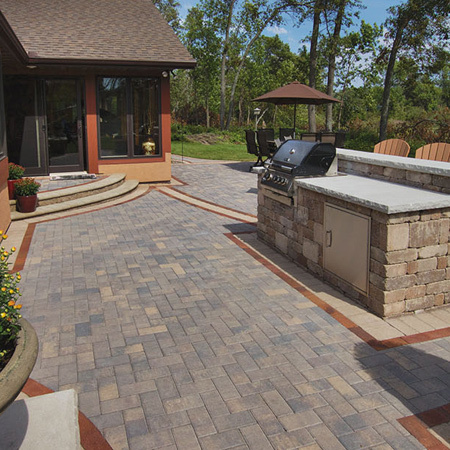 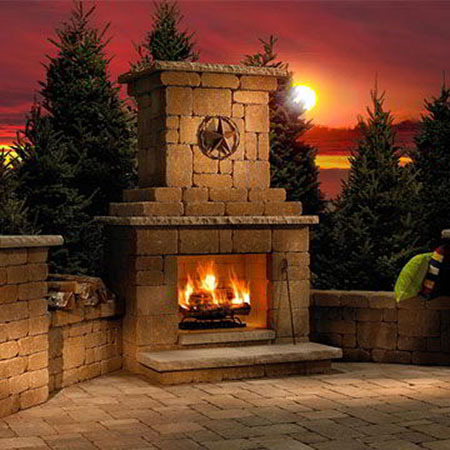 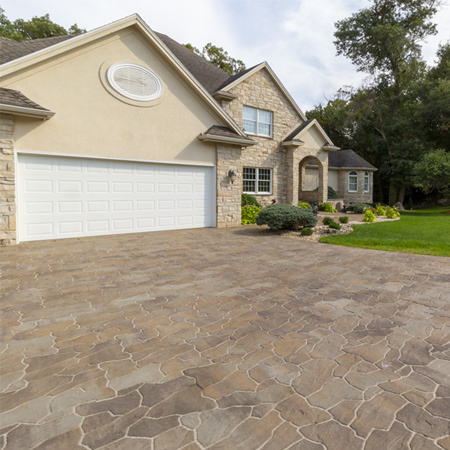 Our patio and driveway pavers, slabs, retaining wall and outdoor living products come with a limited lifetime warranty and are backed by very dedicated team of customer service, manufacturing and field staff professionals. 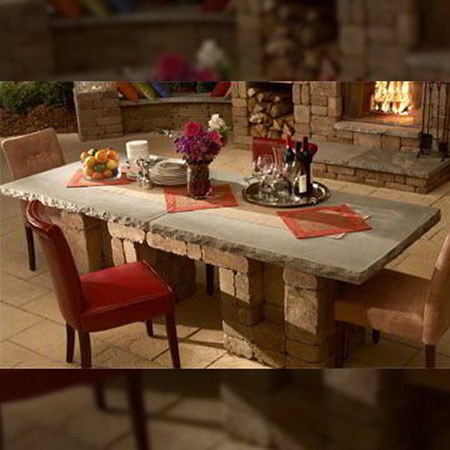 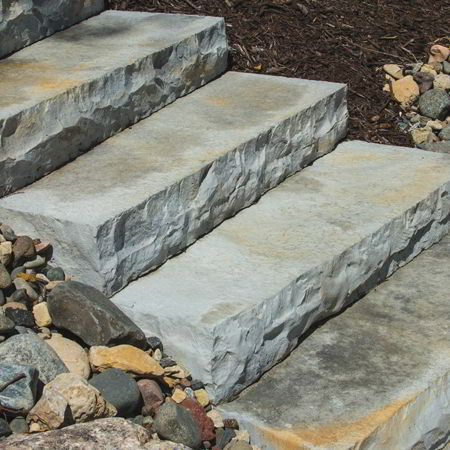 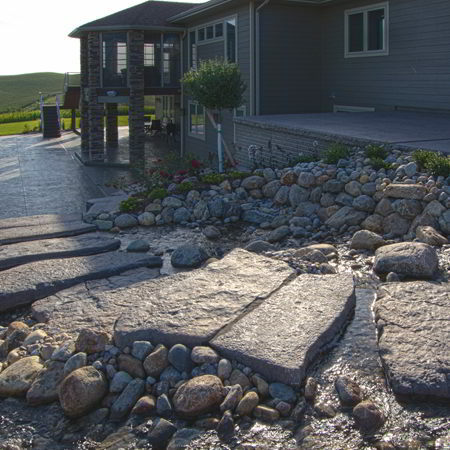 Silver Creek Stoneworks is a nationally recognized brand of premium wet cast landscape tiles, steps, caps/tops and stepping stones manufactured by Rochester Concrete Products. 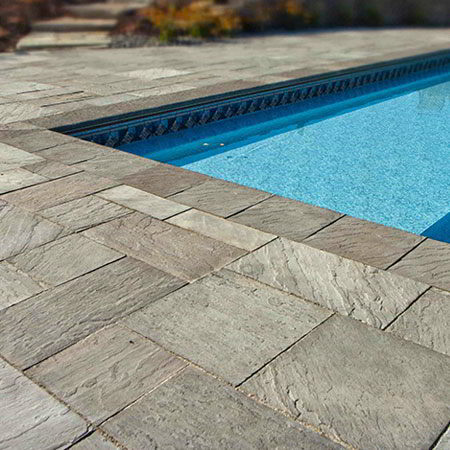 Cast in unique molds from handcrafted originals, Silver Creek’s products have caught the attention of designers, property owners and installers alike for the combination of their natural stone appearance and their convenience, durability and affordability. 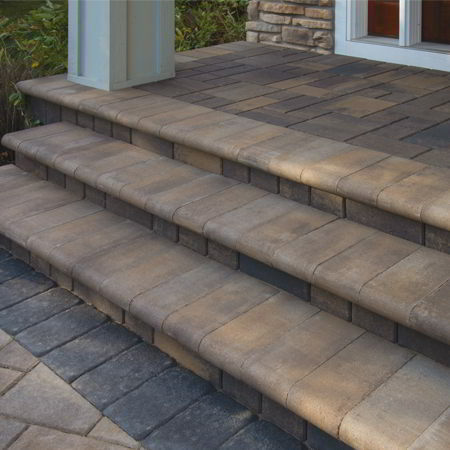 Because they are manufactured, their uniform shapes and thickness eliminates nearly all the installation difficulties of natural stone. 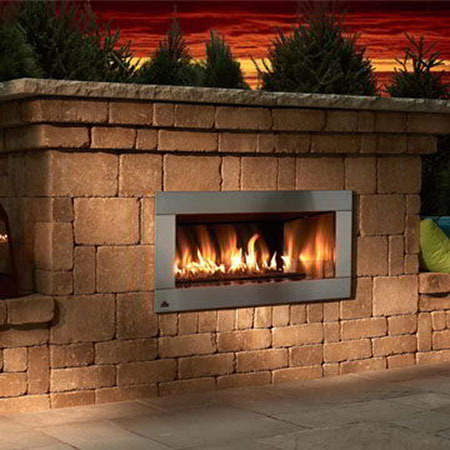 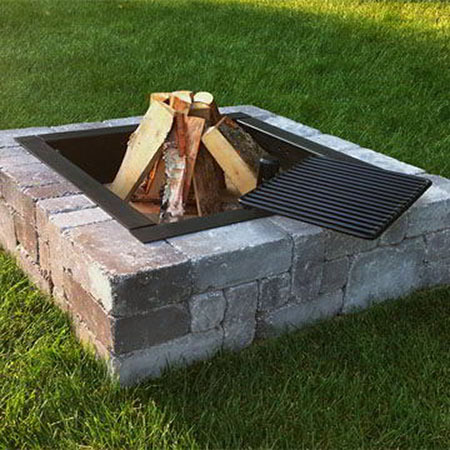 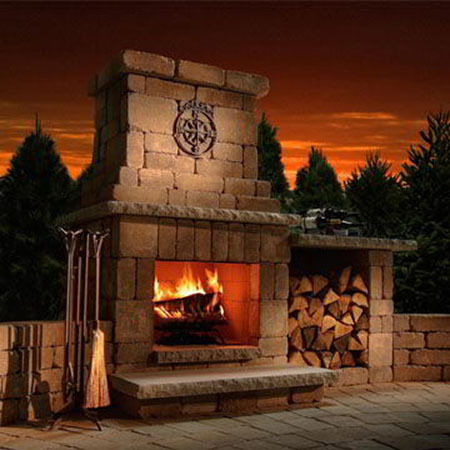 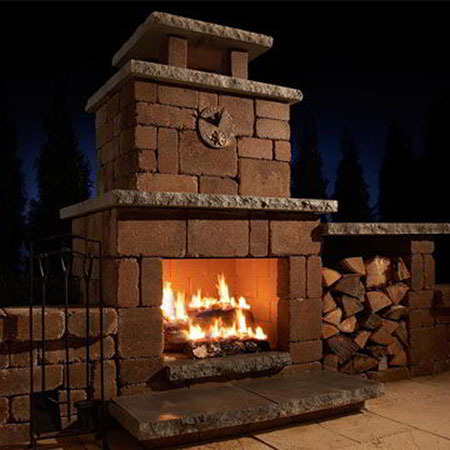 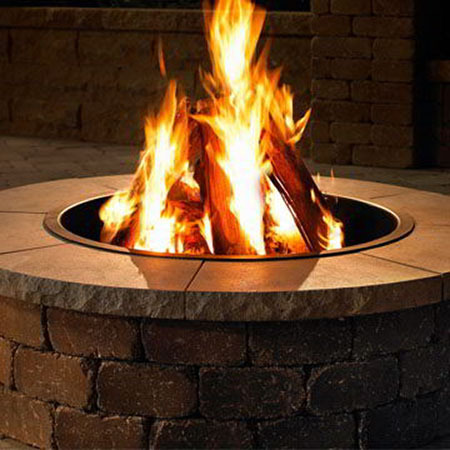 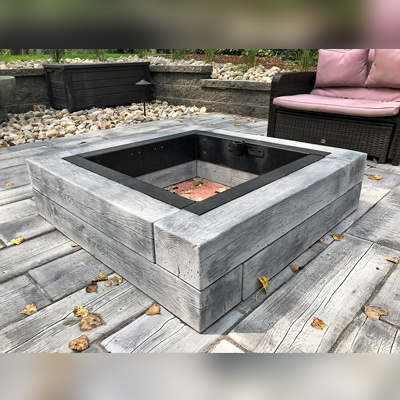 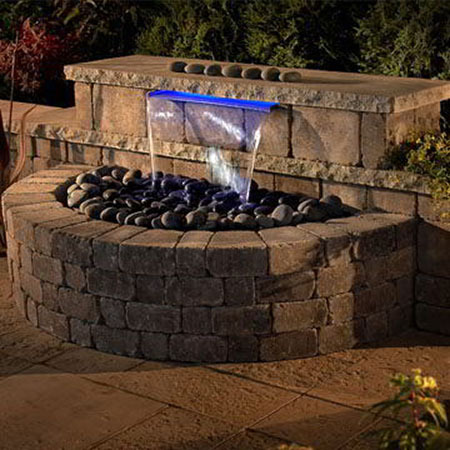 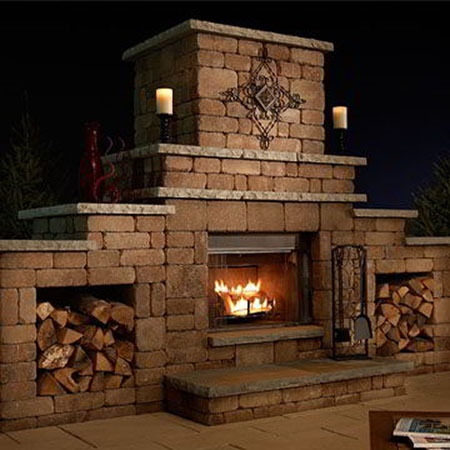 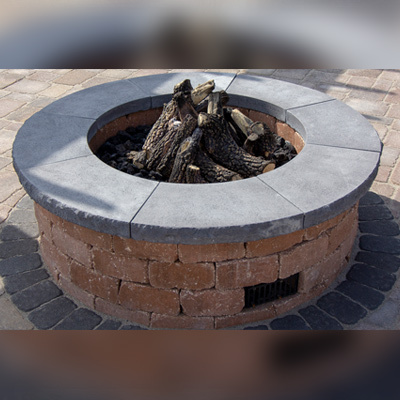 Necessories is a collection of affordable, ready-to-assemble outdoor fireplaces, island bars & grills, tables, waterfalls, fire rings, seat walls and pillars kits. 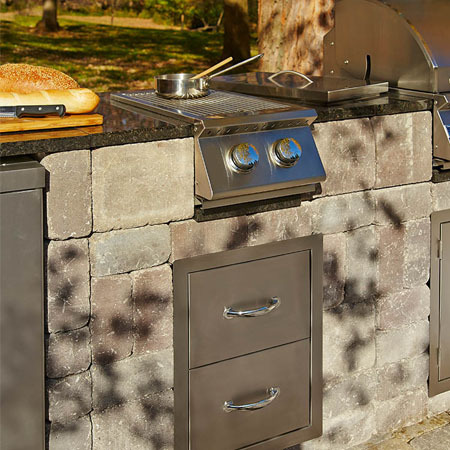 The Kitchen is a collection of granite-topped cabinets for backyard baking, grilling, dining and entertaining. 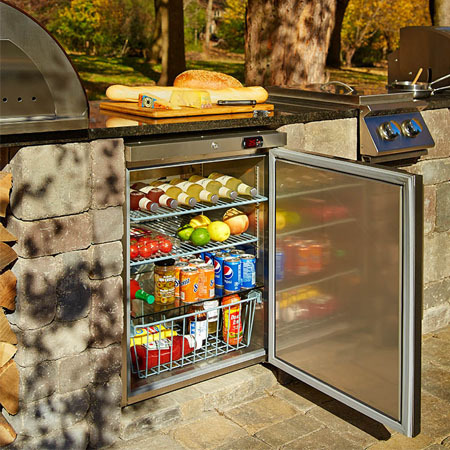 Elegant, functional and affordable, these quality components and cabinets are ready to assemble in any configuration you can imagine. 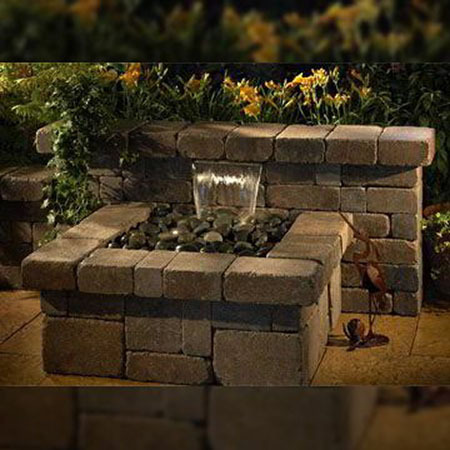 Necessories kits are both beautiful and functional, turning backyards into attractive and enjoyable outdoor living spaces. 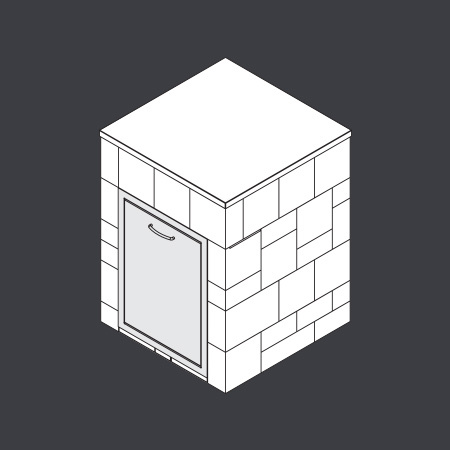 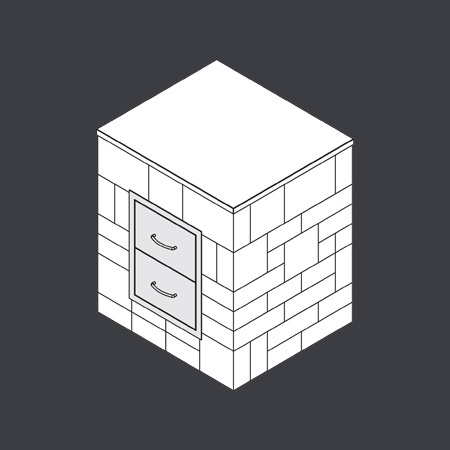 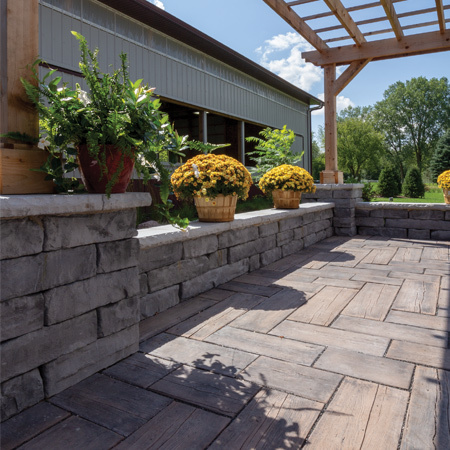 Also, Necessories come ready-to-assemble with everything needed to build, making them easier to install and more affordable than typical masonry structures. 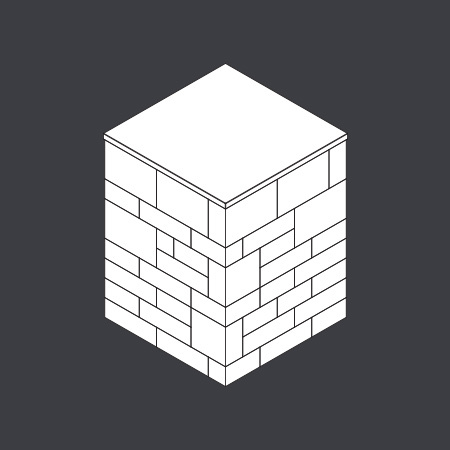 You can build your project all at once or add new features over time. 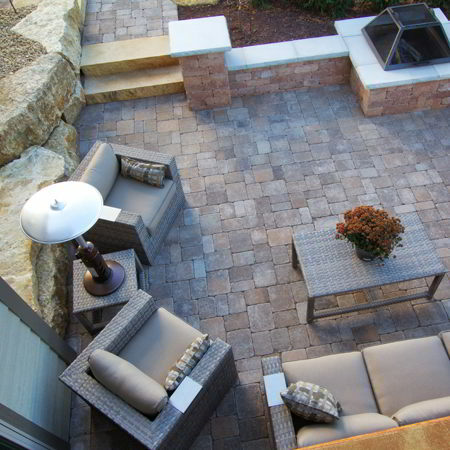 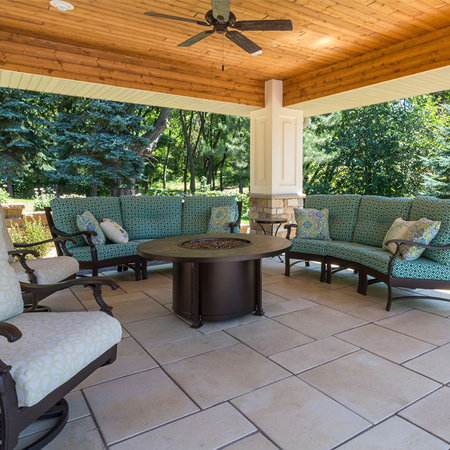 Because of Necessories’ modularity, expanding your outdoor living space is easy to do whenever you are ready. 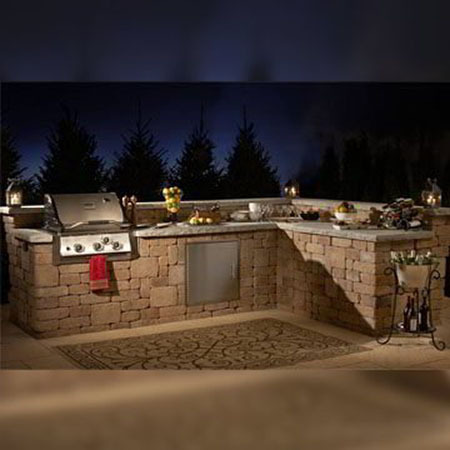 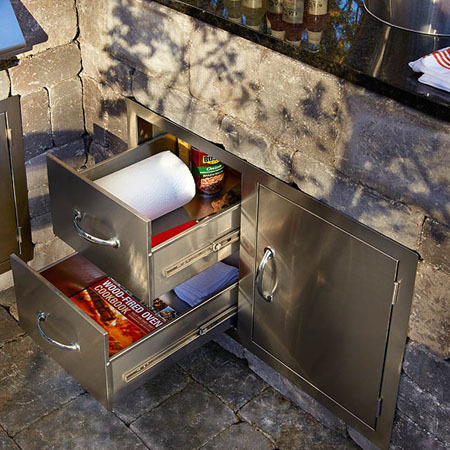 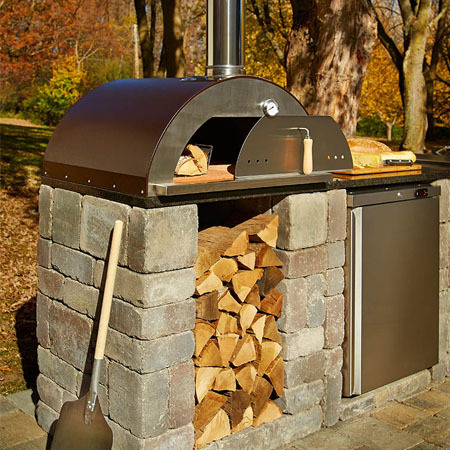 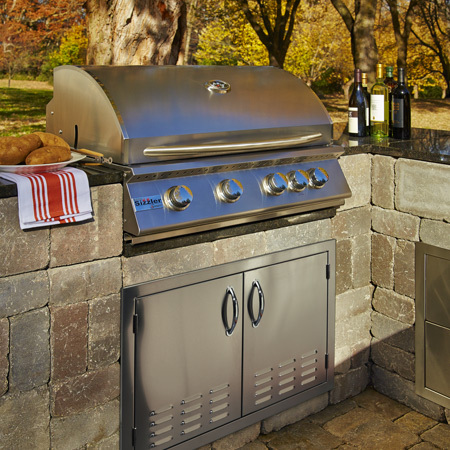 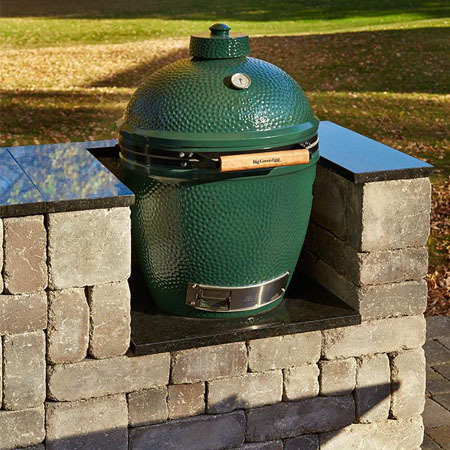 Each Necessories Outdoor Living Kit comes complete with everything you need to build, including precut block sized to fit, reinforcements, adhesive, and easy-to-read, step-by-step instructions. 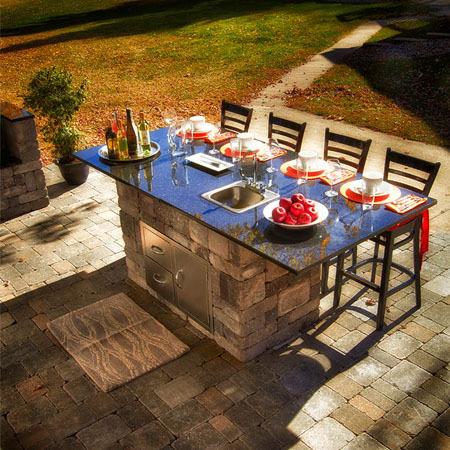 Most kits can be built by two people in an afternoon, or less. 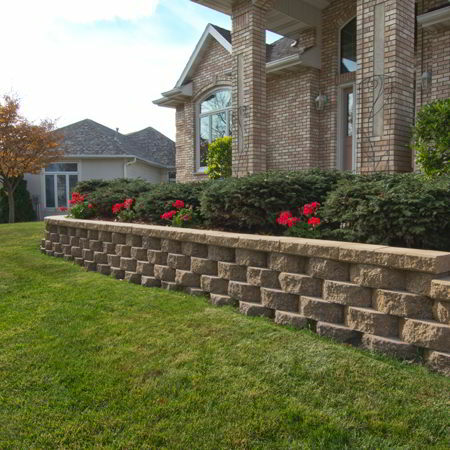 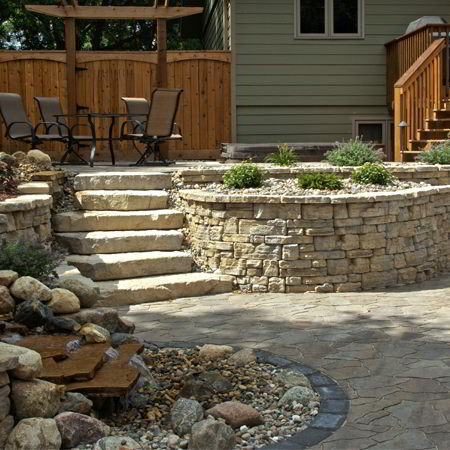 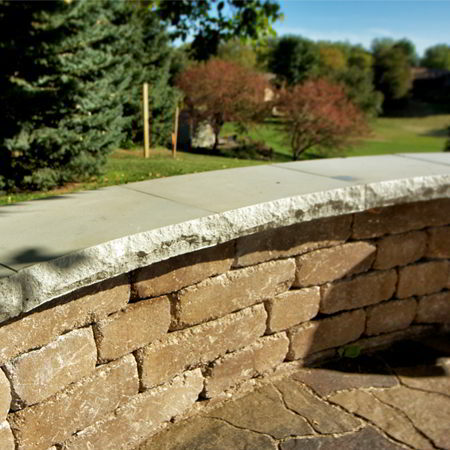 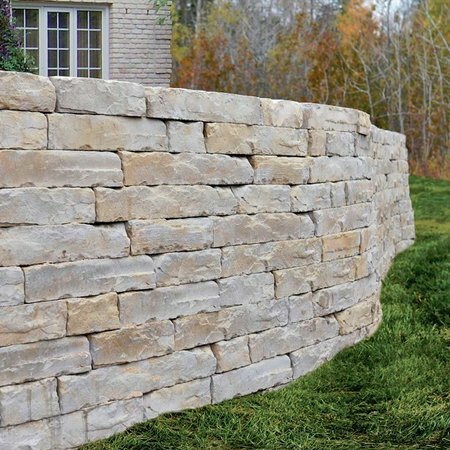 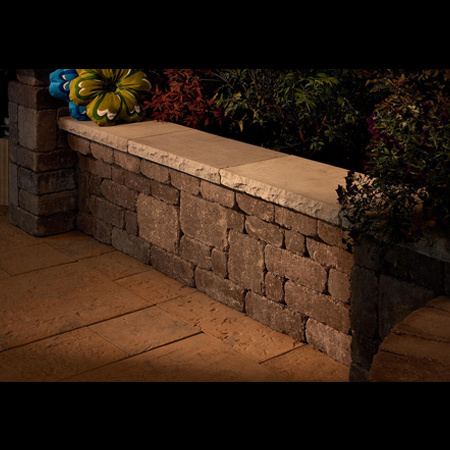 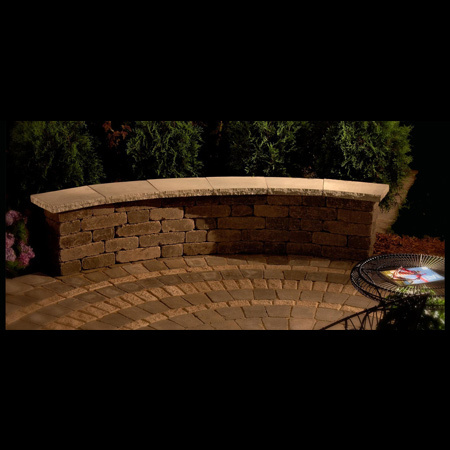 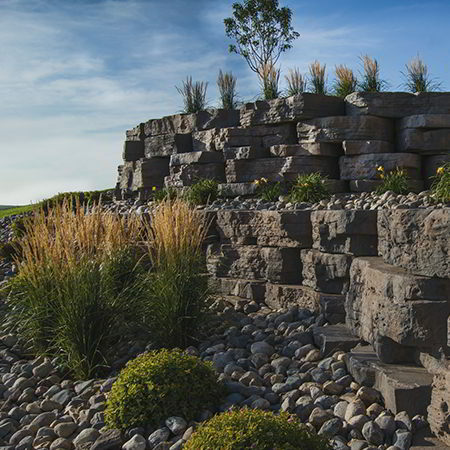 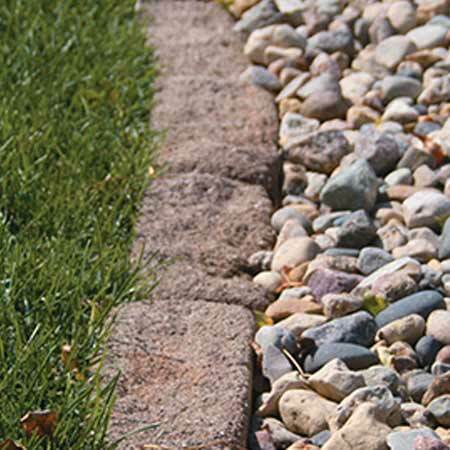 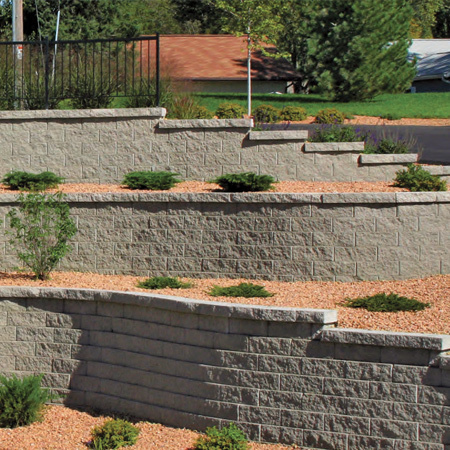 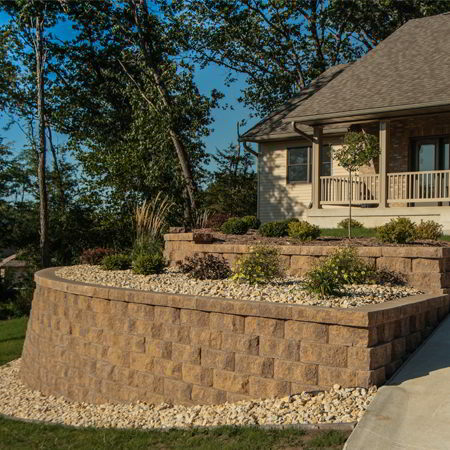 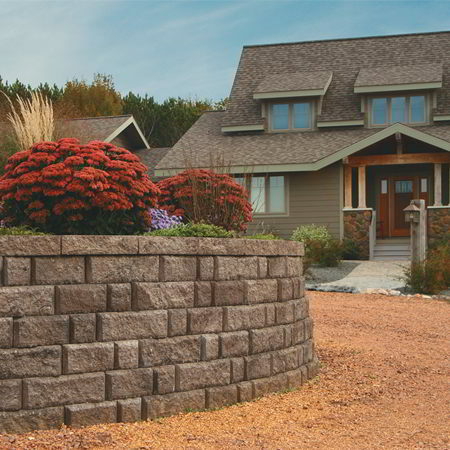 Necessories kits feature Rockwood Retaining Walls’ multi-piece, tumbled Lakeland wall block. 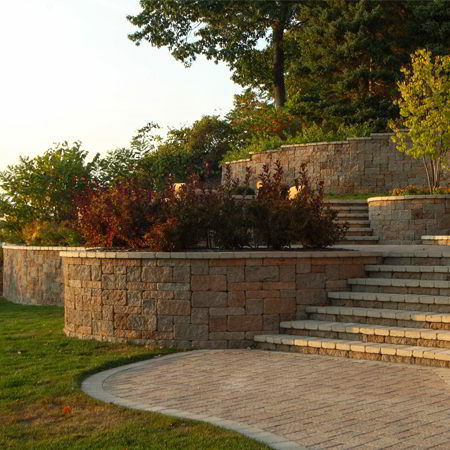 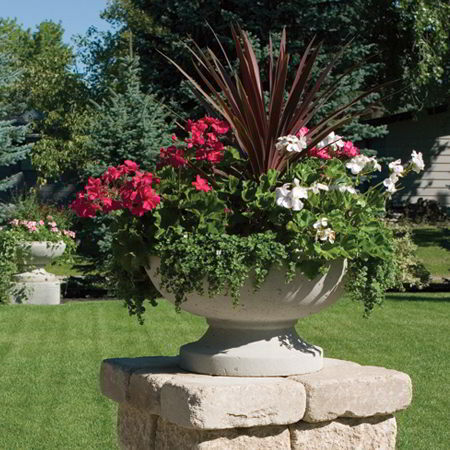 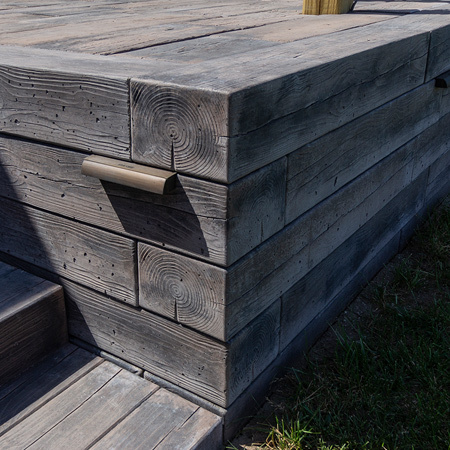 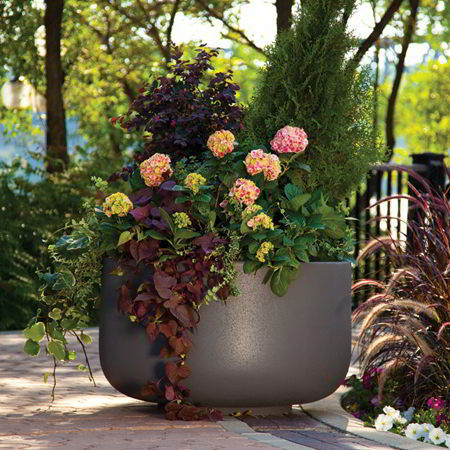 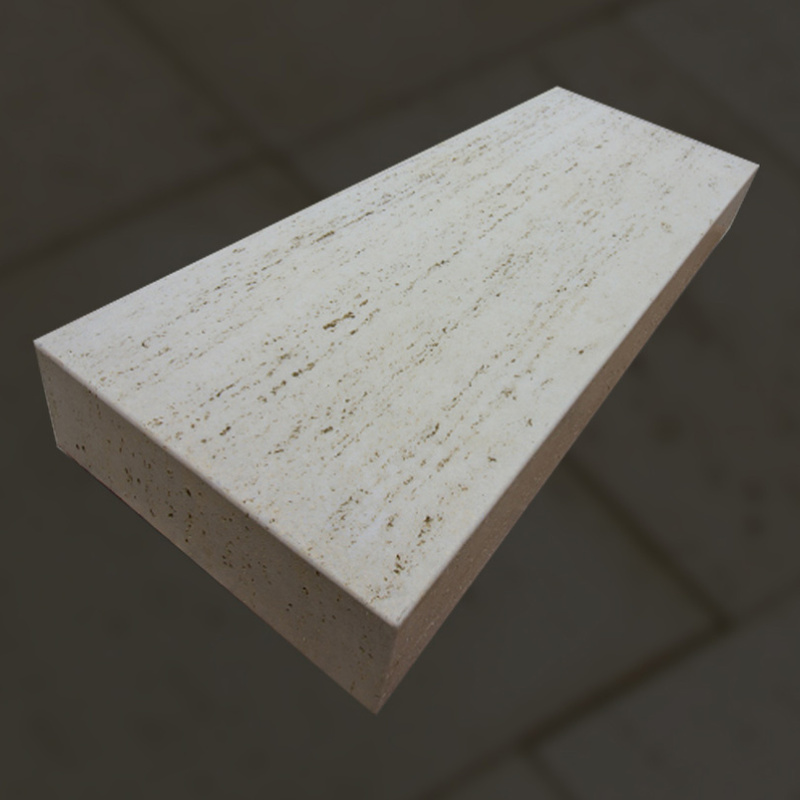 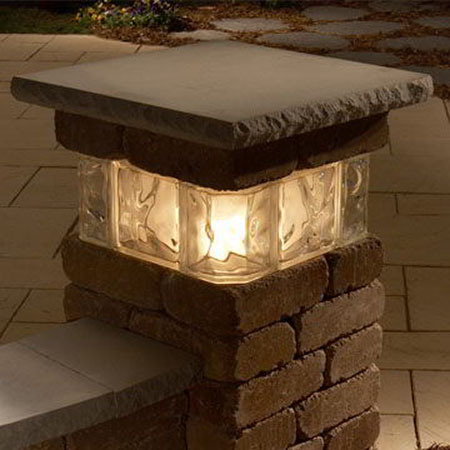 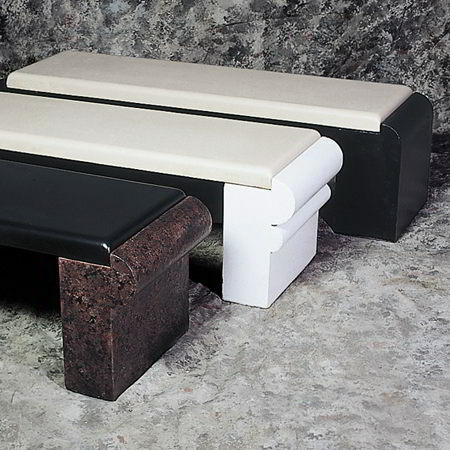 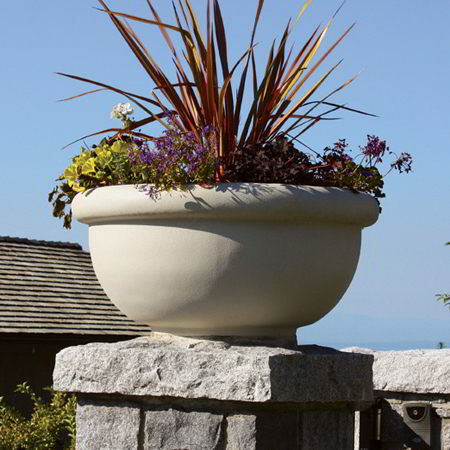 Its linear design and aged appearance fit well in landscapes of any style or decor. 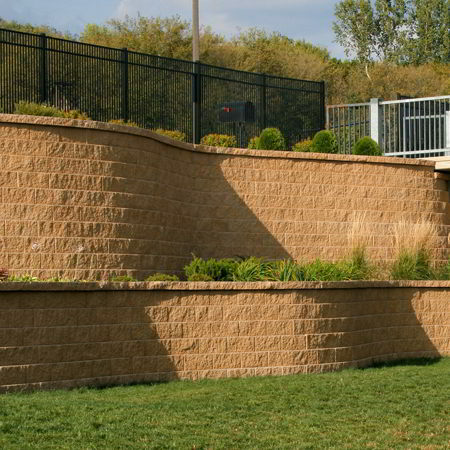 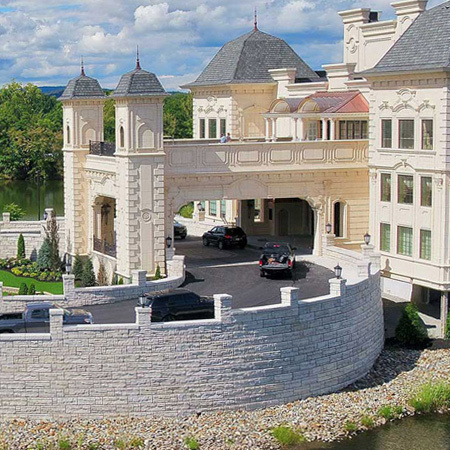 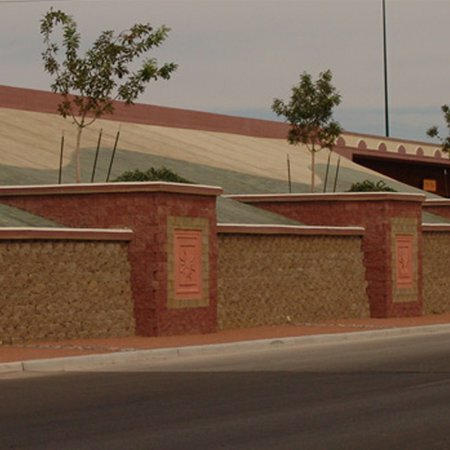 We manufacture and distribute a diverse selection of decorative and high-performance segmental retaining wall (SRW) systems for residential and commercial use. 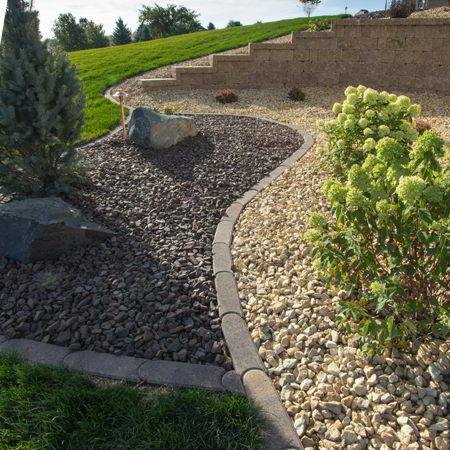 SRW’s have many advantages over other methods of slope control. 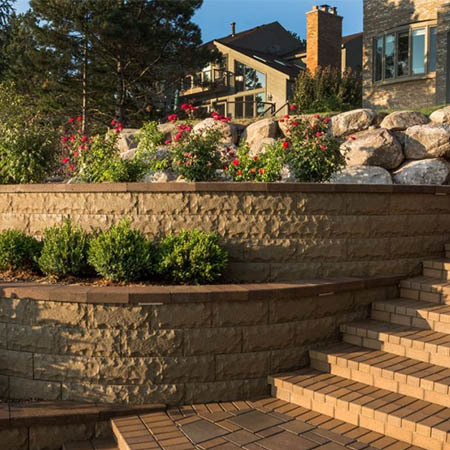 SRW’s are designed to perform differently and unlike boulders, timbers, and poured walls, they can be installed to amazing heights, using a wide variety of colors, sizes and textures — and can be engineered to handle extreme loads. 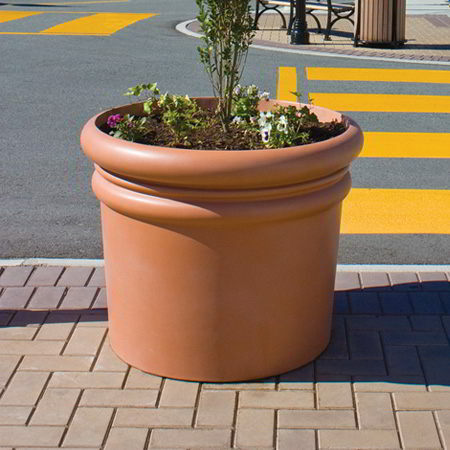 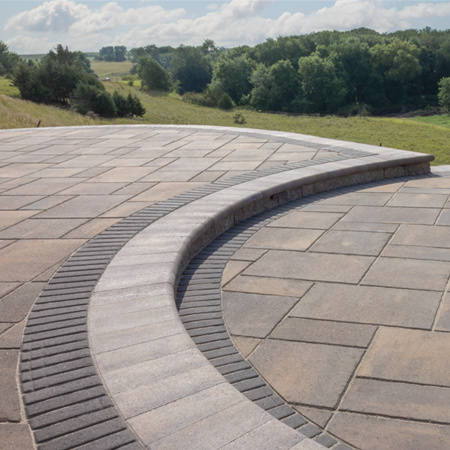 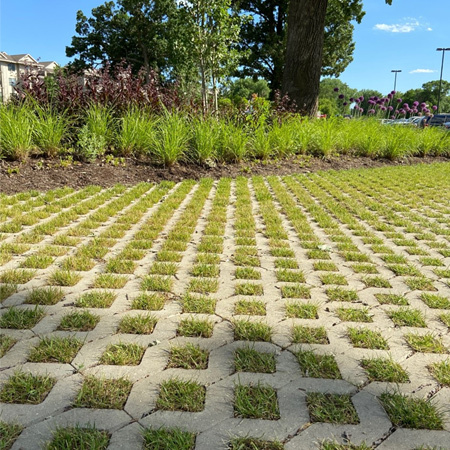 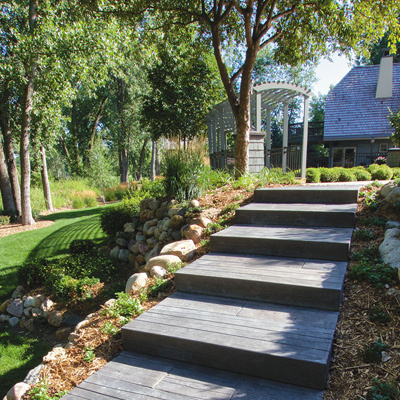 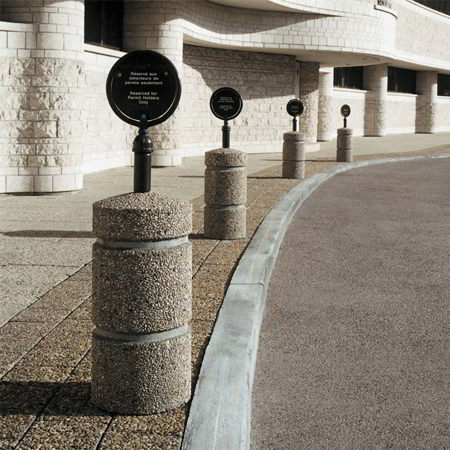 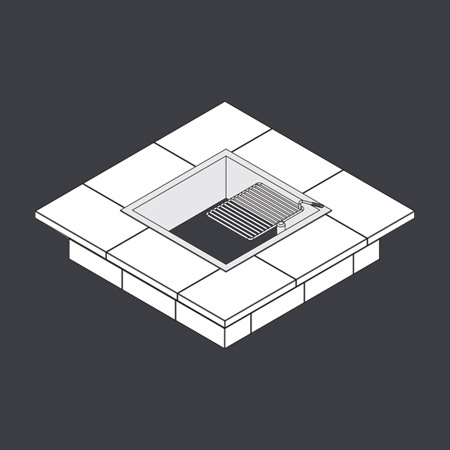 Depending on the system, most SRW’s can be create sharp turns, tight radius or smooth curves, straight lines, vertically or with a setback to turn sloped ground into open, usable spaces for patios, pathways, driveways, egress windows and more. 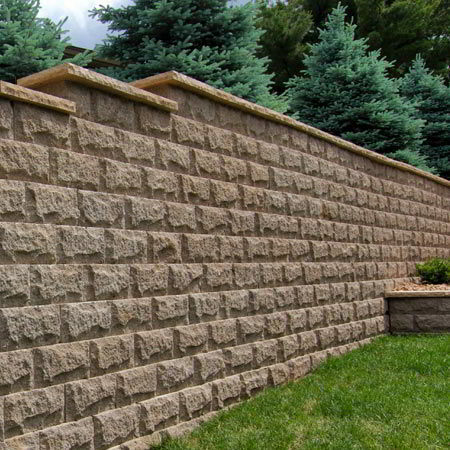 Consult a professional wall contractor to help choose the wall system that best meets your application requirements and budget. 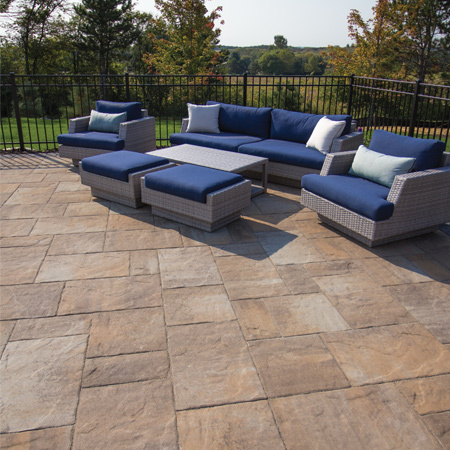 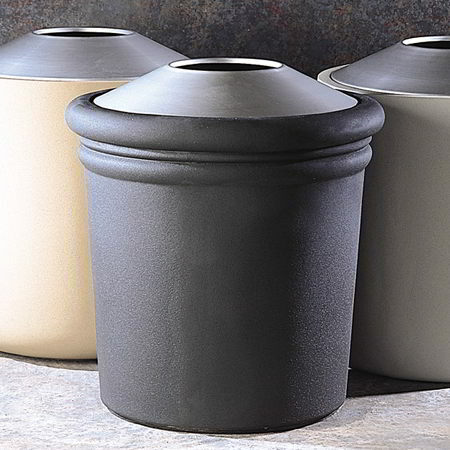 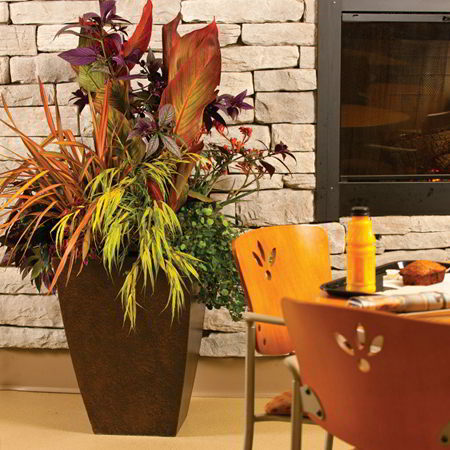 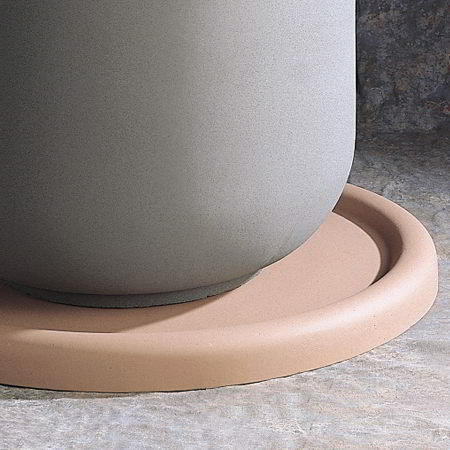 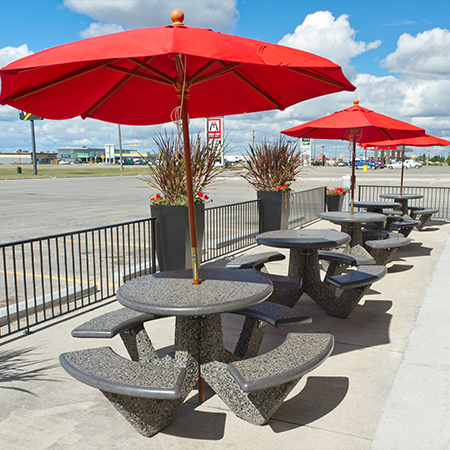 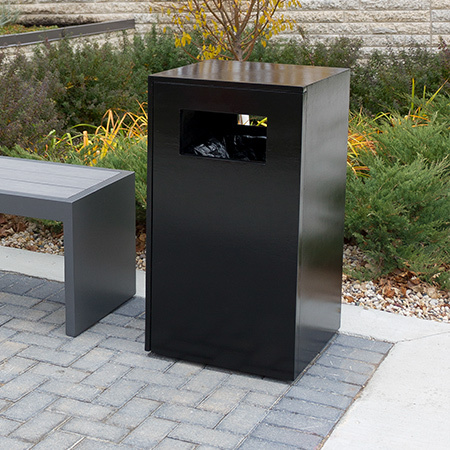 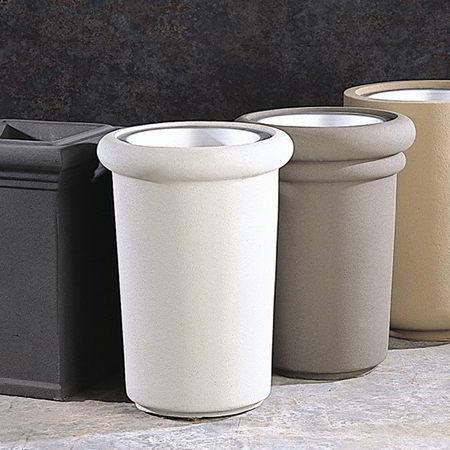 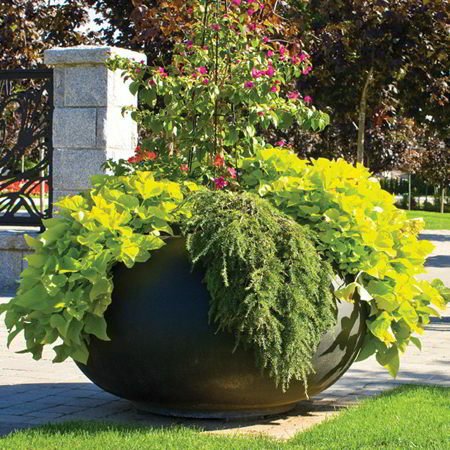 Add distinctive flair and functionality to your next interior or exterior landscaping project with our wide selection of attractive site furnishings and accessories. 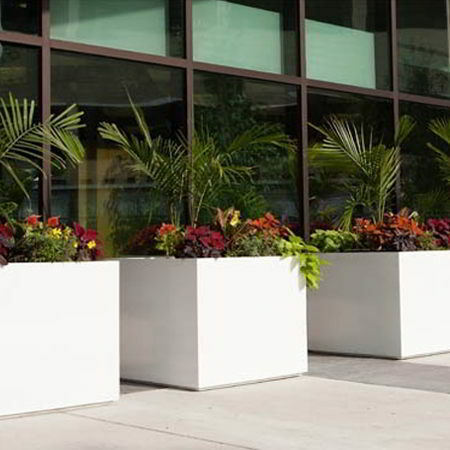 We have unlimited shapes and color combinations to choose from, and our simple, yet classic styling makes our furnishings ideal for any setting. 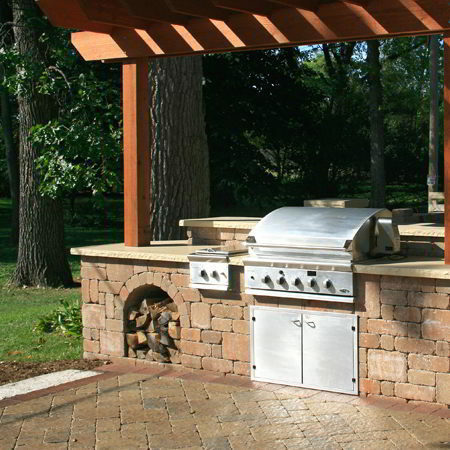 Premium wet cast and GRFC (glass reinforced concrete) site amenities and furnishings are developed and produced by Barkman Concrete, LLC. 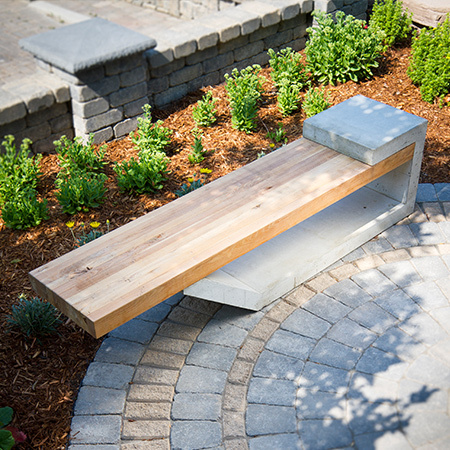 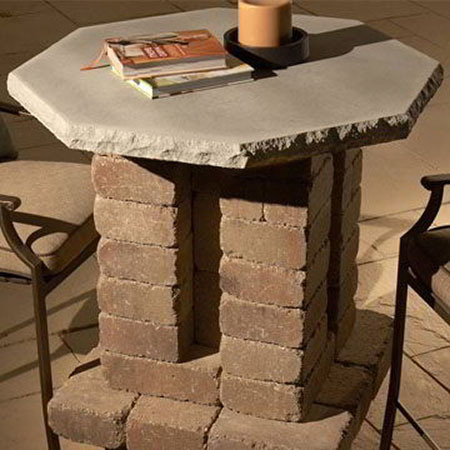 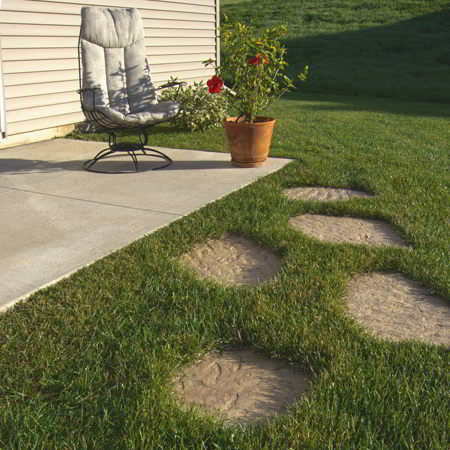 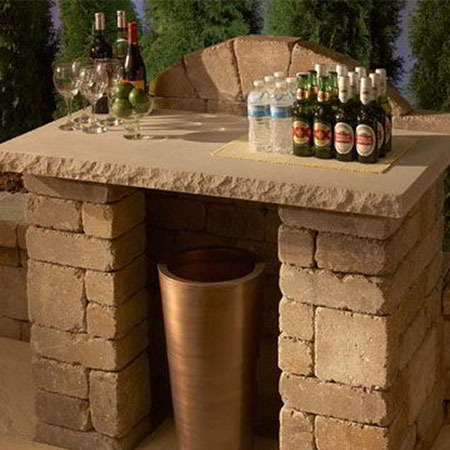 View this product on the Barkman Concrete website.